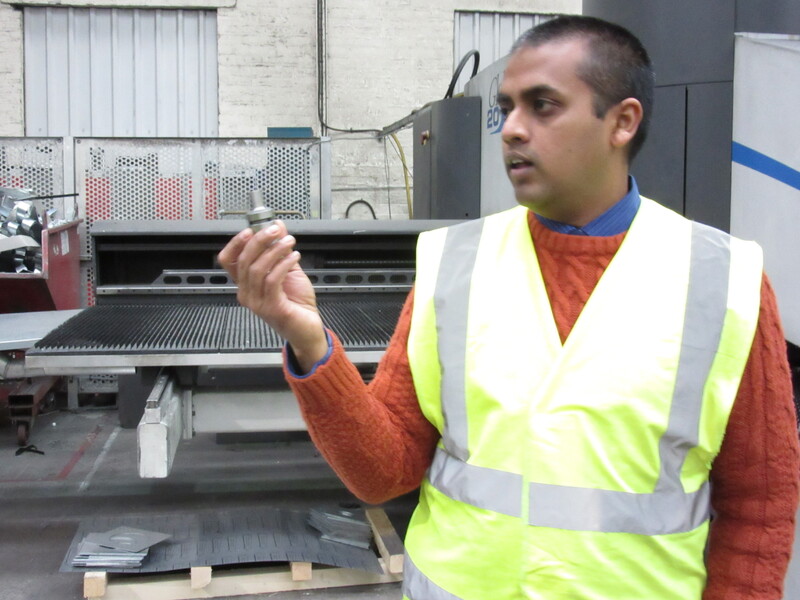 Students took tours to Ash & Lacy factory at West Bromwish for better understanding of the manufacturing process. The tour was lead by Mr. Tharinda Rathnapala from Ash & Lacy and guided through the factories and warehouses. He introduced the process and machineries that manufactured the components and accessories in house. During the tour, Tharinda has shown mock ups of the systems that provide for their customers, products and accessories. The tour has shown their high level of technical and fabrication expertise. Every project starts with a client. Architects or clients provide their design and requirements to Ash & Lacy for the initial quotation. When the project proceeded to contract stage, cladding sub contractor provides and order sheet from the commercial department. Followed by confirmed panel quotation, the order sheets send to the design team. Design office generate panels drawings in CAD and apply to Radan CAD for cuts, routing and tooling. The role of design team not limited to generate drawings but arrangement of material orientation in their concern in order to reduce wastage and optimise material usage. operating. 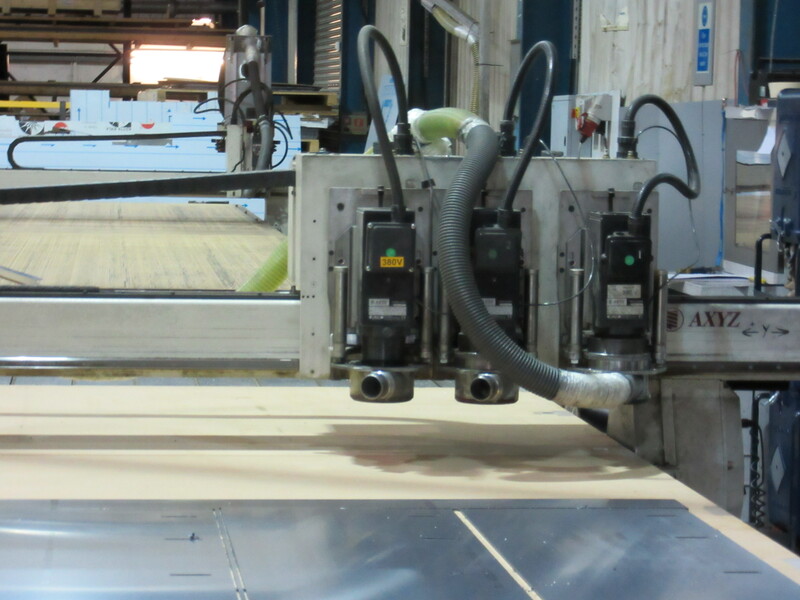 Thickness of material is one of the concern while doing cutting or routing. Operators have to make sure the setting are correct for the specified material. For example, routing for 5mm thick ACM required only 0.35mm without cutting through the material but 2mm thick aluminum sheet only allowed 1mm tolerance for routing. to box up and send to site. Corner joints treatment and extrusions installation method are depend on the design and desired visual outcome. For example, screw and rivet expose the construction joints on the panels. Otherwise, welding or melting rubber provide clean finishes if the client/architect requested. 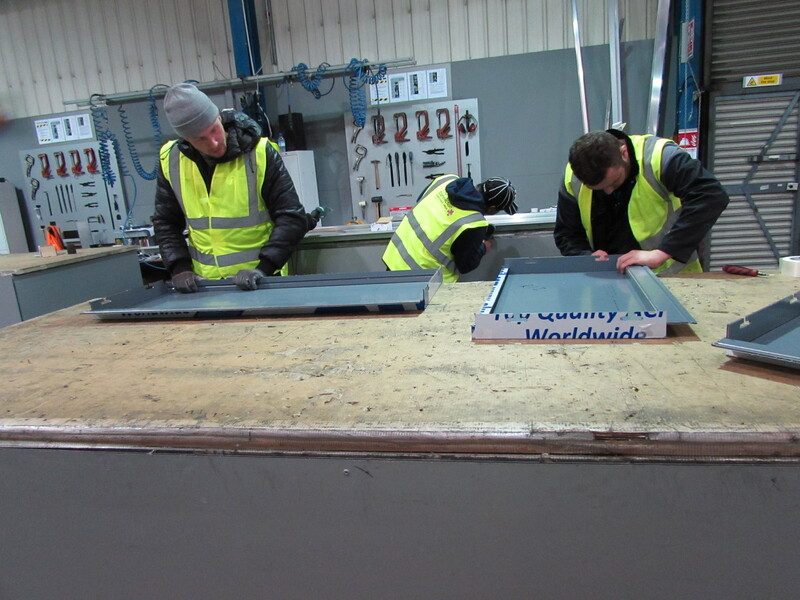 Assembly with care to prevent any damage before the panels are sent to the site. Therefore, tidying and cleaning at the worktop is essential. They also custom made folding tools to make perfect folding if the panels are too long.